Cognigy, a company with HQ located in Dusseldorf and an office in San Francisco, USA is the leader in Conversational AI software solutions. Cognigy was named a Cool Vendor in the Gartner’s Cool Vendors in AI for Conversational Platforms report. 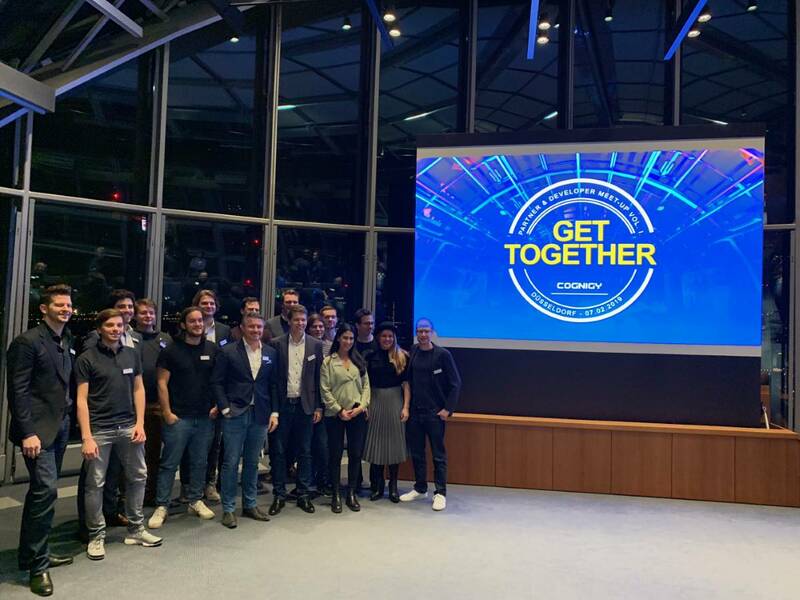 Yesterday they held their first partner & developer meetup in Dusseldorf and Kayee’s Robbert Hock was there to be informed on the latest news on their amazing Enterprise platform. Coming from a Sitecore background like I do, I followed various people from Sitecore around to see what cool companies a lot of them have started. One of them that got my attention was Cognigy. Cognigy founder Philipp Heltewig was back in 2008 one of the Sitecore people that was actually part of the Sitecore 5.3 training I did in Copenhagen, Denmark. After which he left to Australia, to start leading the Sitecore office there and expanding rapidly across the continent. So this guy sure has a great vision in my opinion. 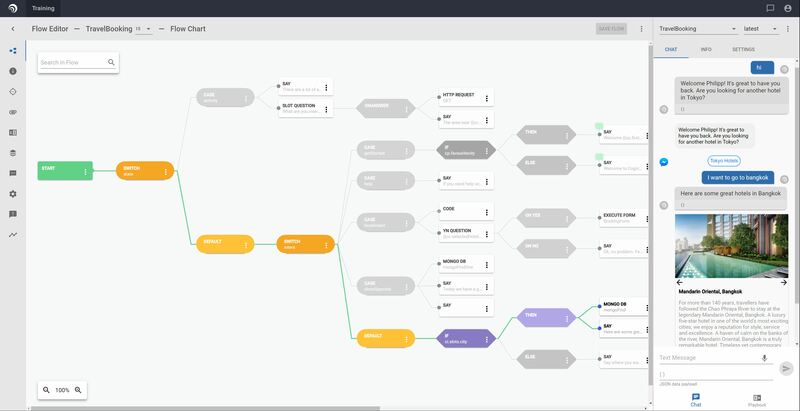 It was great to get insights and hands on practice with this amazing Enterprise Conversational AI platform that allows me to build voice controlled (Alexa, Google Home) conversational applications. Anyway, enough about my small history with Philip and my short background and love of chatbots. Let’s see what the evening was all about. Cognigy founders Philipp Heltewig & Sascha Poggemann kicked of the partner & developer meet-up in a packed room of 135 people. 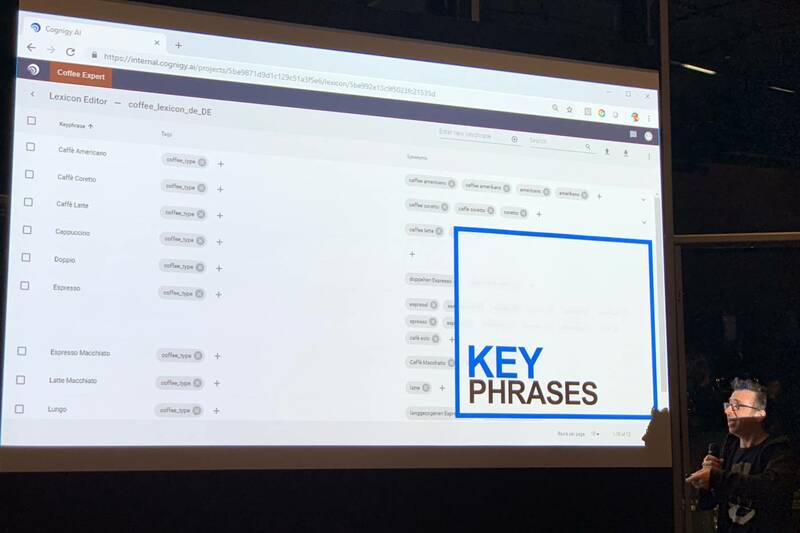 They talked briefly about the program for the evening, and touched upon a client that they are working for in Seattle, which within 4 days they were able to build a chatbot for multiple channels using the Cognigy Conversational AI platform. They were excited as well as I am. This was the evening’s keynote by Philipp Heltewig, where he started with an introduction of chatbots in the mid 60’s, one of them which was the first one was ELIZA, after which he moved to the 90’s, introducing chatbots like A.L.I.C.E. Back in those days the chatbots were rather dumb, not being able to have human-like conversations. That’s were ML/AI steps in, Machine Learning and Artificial Intelligence adds human-like natural language understanding. 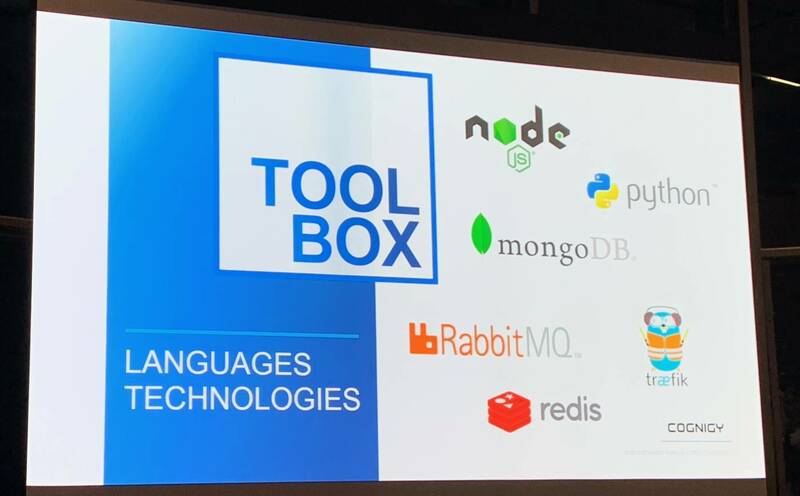 Phil touched upon NLP’s like LUIS (which I’ve used into the Sitecore SUGCON Europe 2017 bot I build) and platforms such as DialogFlow briefly, but using those technologies is basically writing the rules out in a program. That’s where Cognigy differs from those restricted platforms. Cognigy can easily be extended and integrated with 3rd party systems. 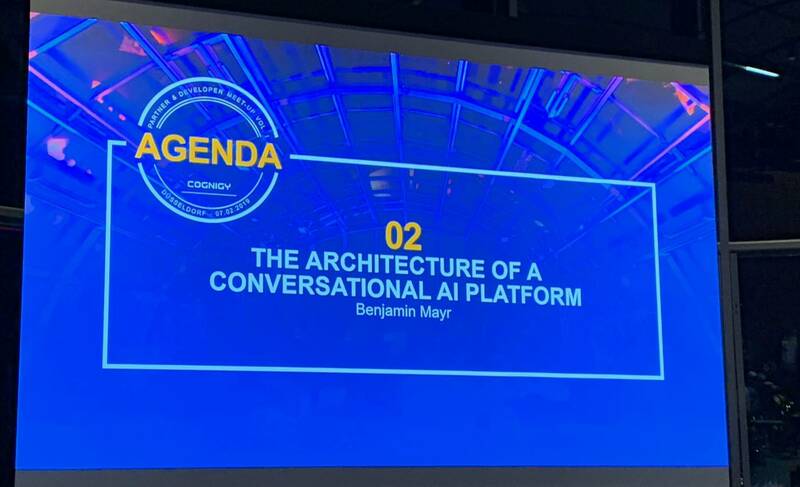 This was a great presentation by Benjamin Mayr, head of development at Cognigy, which gave me for the first time a look under the hood of how the Cognigy Conversation AI platform was build. As a Software Developer & Architect it’s always interesting to see what the technology stack is and what they are using to run the platform. Benjamin showed us the toolbox of technologies they are using (NodeJS, python for the NLU, Traefik for a reverse proxy, so that channels like Amazon can actually reach the Cognigy servers for their callbacks) and explained how they were able to scale through the use of a message broker through using RabbitMQ, that once a NLU is temporarily offline, a message is added to the message-queue and can be picked up once the NLU service is active again. 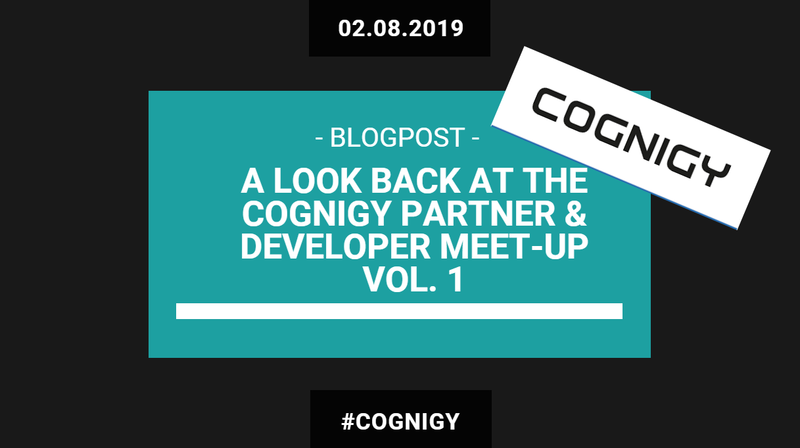 Cognigy is currently releasing a new patch version every 2 weeks and they make use of Docker for their container orchestration. For me like I said before, this was a great session. Dominik Seisser presented us with an Aliens come to earth story (which wasn’t my favorite example to be honest), where he talked about a possible intent (is the Alien good or bad) of the consumer of the chat-bot. The summary of it all was that you have to learn the language of the consumer that is talking to your bot, and let the data that the consumer is providing do the talking. The data is the heart of your intelligence, but still to get the AI right is pretty hard to do. Therefore when implementing chat-bots for an enterprise make sure you predict how it should respond to a particular strange question from and end-user. The final session of the evening was by Sascha Wolter (which was my instructor back in September 2018 when I did the Cognigy 3.1 developer training). This guy is full of energy. Sascha talked about the fact that social interaction at the moment is lacking in most bots. 90% of the current bots are dumb. Humans can detect intonation in sentences, but AI still has problems with it. Bots can speak great, but still have problems with understanding what we humans often mean through our speech and intonation. 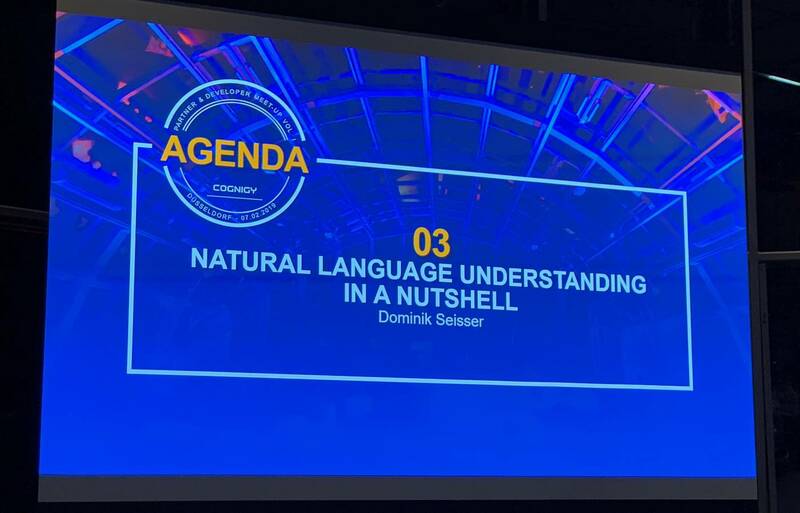 Sascha then took us through how we can define Intents, utterances & key-phrases in Cognigy AI. Expect the unexpected, so give the user hints on what the bot can do. 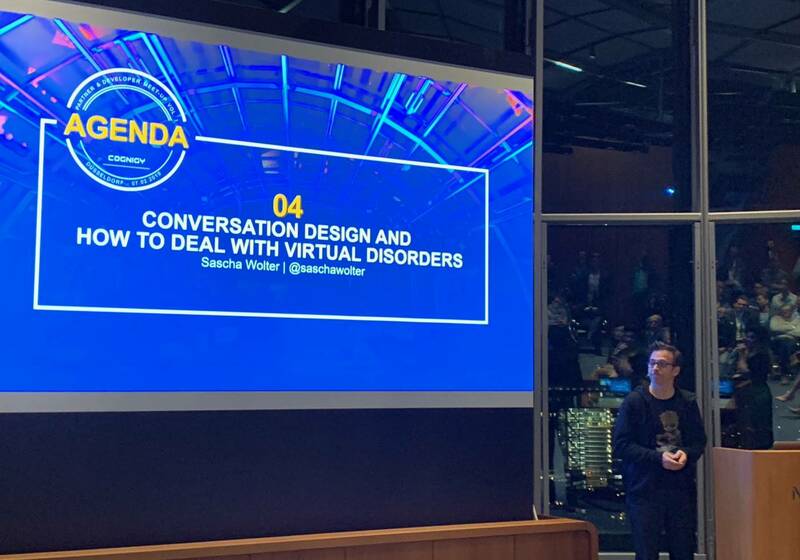 As a final note Sascha talked about Conversational Augmented Intelligence, where the chat-bot can hand over for example to a Service-desk employee and continue the conversation there and visa versa. 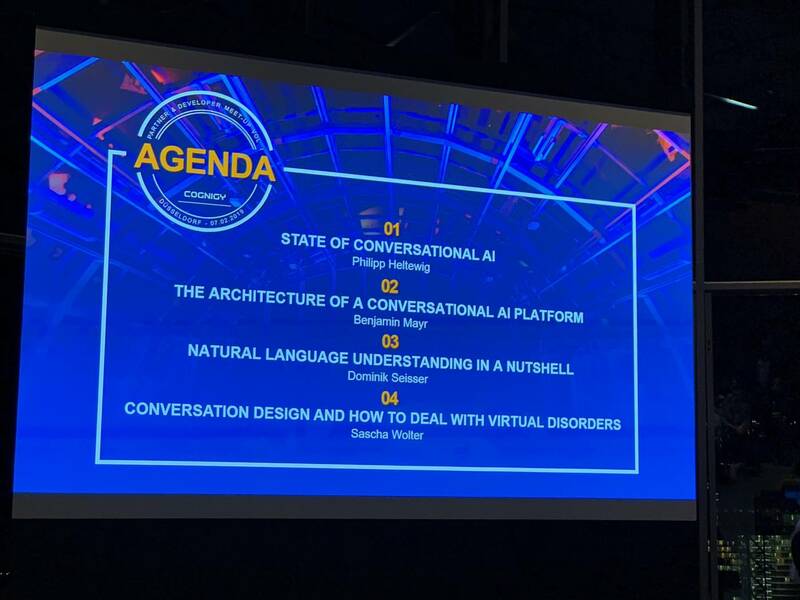 It was a great evening, the sessions were very good, the after party was great, but as usual on these events the best part of the evening was talking to multiple people from Cognigy and getting to meet new people that all share the same interest: Conversational AI. 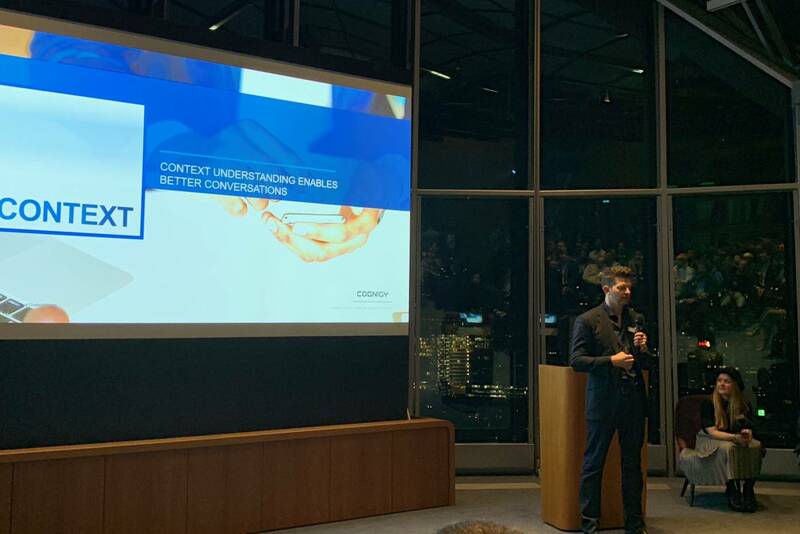 Thank you Cognigy for hosting such a great evening! Need help with your Conversational AI implementations? I've been trained on the Cognigy Conversational AI platform and know how to implement voice-controlled chatbots and conversational applications.